In a major shock to Tripura’s ruling BJP ahead of the Lok Sabha elections, the party’s state vice-president Subal Bhowmik Tuesday joined the Congress, saying he felt he was a “burden” on the saffron party. 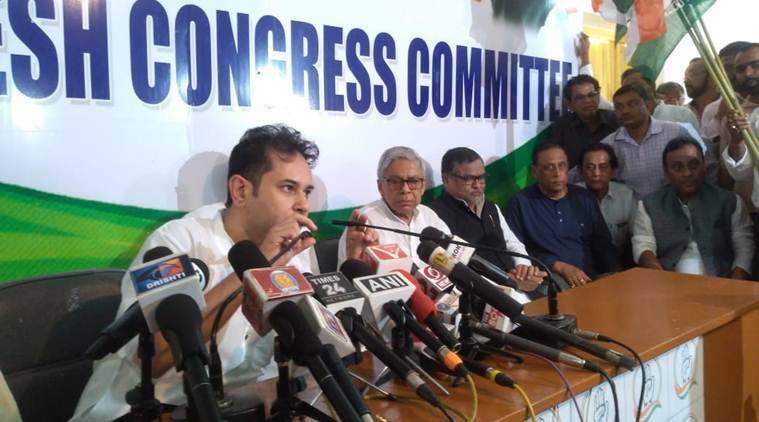 Former minister and BJP state leader Prakash Das, CPI (M) councilor Debashish Sen, BJP Kisan Morcha vice-president Premtosh Debnath and others, too, joined Congress today. Their return came 24 hours before Congress president Rahul Gandhi’s visit to Tripura. Bhowmik’s departure from Congress was preceded by former minister Jawhar Saha who blamed the then state president Sudip Roy Barman and Ratan Lal Nath for his party’s electoral drubbing. Former minister Prakash Das served as Minister of State for SC Welfare in Tripura from 1988 to 1993. Terming Tripura’s BJP-IPFT government “anti-Scheduled Caste”, Das said no SC MLA was included in the state cabinet in order “to suppress people from the backward classes”. Reacting to Bhowmik’s defection, BJP spokesperson Dr Ashok Sinha said the leader’s departure will not affect BJP’s poll prospects. “India is a free country and people are free to take their political decisions. But their departure will not affect BJP’s Lok Sabha prospects”, Sinha said. Tripura will vote in two phases on April 11 and 18. The results of the multi-phased polls will be announced on May 23.